Ideal for screeds and poor quality concrete, it strengthen concrete prior to application of epoxy and urethane products. A two pack solvent free primer especially designed to reduce suction on porous, very absorbent surfaces prior to application of epoxy coatings. It has significant benefits over traditional water-based primers in respect of penetration, substrate binding and curing. Not for use on non-porous surfaces. The substrate must be clean, free from laitance, oil, grease and other agents which may impair adhesion. Cleaning techniques may include acid etching, grinding, light mechanical scabbling, blasting or degreasing depending on floor contamination. Existing concrete floors should be sound and free from loose material. It is recommended that damaged areas be repaired with Eli-Patch Epoxy Repair Mortar prior to the application of Epoxy Prime 100. It is imperative that mixing is carried out in the resin container. Epoxy Prime 100 is a two-pack system and it is very important to ensure the hardener and resin are thoroughly mixed together. The entire contents of the hardener should be added to the entire contents of the resin pack and stirred thoroughly. Packs should not be split unless accurately weighed. Once mixed Epoxy Prime 100 must be applied immediately. Epoxy Prime 100 should be allowed to become tack free prior to the application of epoxy systems and touch dry prior to the application of urethanes to eliminate crosslink reaction. In all cases further applications must be carried out within 72 Hours. Epoxy Prime 100 is applied to the prepared substrate by roller or brush ensuring a continuous film. Avoid over-application and puddles, porous floors may require two coats. 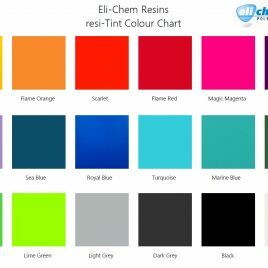 We would like to introduce you to our Resi-Tint acrylic pigments. Resi-tint bottles come with an integrated glass dropper lid so you can dispense small droplets to suit the desired colour effect. 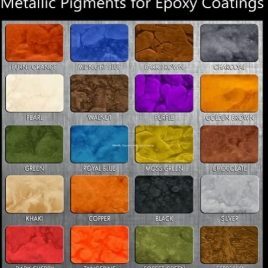 They have a much improved resistance to fading than conventional dyes and colouring agents, and are water-resistant. The range of 18 colours have either a 3 or 4 star rating for permanence. 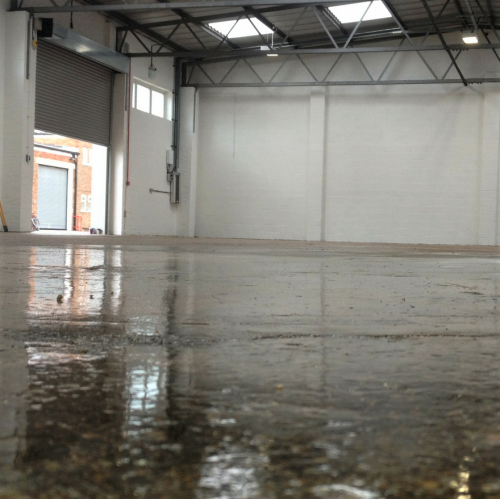 Res-Tint is ideal for colouring our Coin Cast Penny Floor Epoxy Resin. 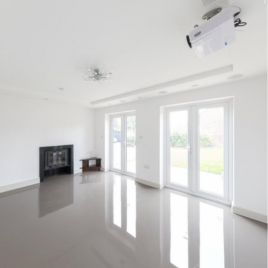 A self smoothing, hygienic, ultra glossy epoxy floor coating laid at 2-4mm thick, just mix and pour for a seamless showroom standard floor Excellent abrasion, wear and chemical resistance. Ideal for residential, industrial or commercial floors, food & beverage production areas. hospitals, garages, laboratories, showrooms, schools and plant rooms. 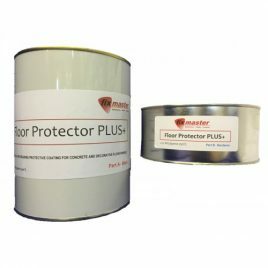 Floor Protector Plus is an exceptionally hardwearing coating that incorporates the latest polyaspartic technology Ideal as a protective clear coating applied directly to concrete, or for the long term protection of epoxy and decorative floor finishes. Floor Protector Plus also has excellent protective properties when applied directly to metal surfaces. A two part polyaspartic product for internal and external application, use as a hard wearing coating or as a protective clear layer for other coatings.